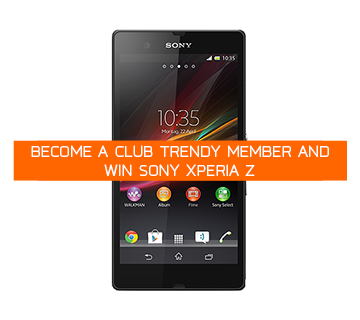 Club Trendy presents a new contest where all our members will have equal chances of winning one of the best smartphones on the market – Sony Xperia Z! If you are looking for a top range smartphone with high-end specification, which is also dust and waterproof, Xperia Z from Sony is one of the best choices you can make. 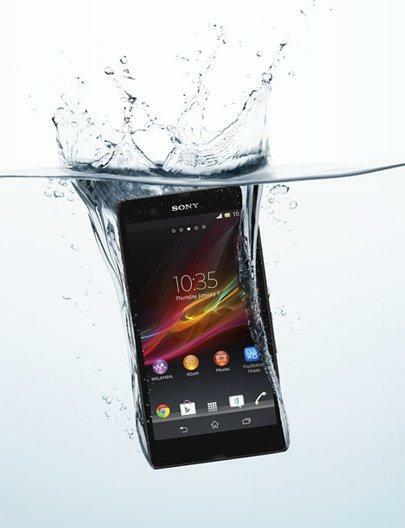 Xperia Z has a large 5-inch display with full HD resolution, and is made of top-quality glass which makes it look truly outstanding. This Sony flagship runs Android 4.1.2 and it comes with IP55 and IP57 certification, meaning it can withstand water and dust. If you want to become a proud owner of this smartphone, join Club Trendy today! By becoming a member of Club Trendy, you are one step closer to winning this fantastic prize! All Club Trendy members who purchase at least one product at MyTrendyPhone online store between November 1 and 30, will automatically enter the competition! The lucky winner will be drawn randomly on December 3 2013.